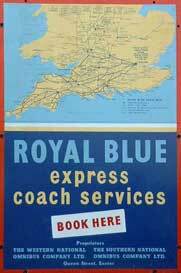 The 125th Anniversary of the inauguration of Royal Blue was marked by an second historic journey from Exeter to Penzance via the South Devon and Cornwall coast on the 16th September and Penzance to Exeter via the North Devon Coast on the 17th September. Vehicles then assembled at the Westpoint site on the 18th September for the 3rd WHOTT Rally. This is believe to be the largest collection of Royal Blue vehicles seen together in recent years. 16th September - Exeter (Coach Station) - Countess Wear - Kennford - Chudleigh - Chudleigh Knighton- Drumbridges - Liverton - Ashburton - Buckfastleigh - Srangaton - Bittaford - Ivybridge - Marsh Mills - Plymouth (Bretonside) - Saltash Bridge - Liskeard - Dobwalls - Bodmin - Indian Queens - Fraddon - Brighton Cross - Truro - Falmouth - Penryn - Helston - Penzance. 17th September - Penzance - Hayle - Gwithian - Portreath - St Agnes - Perranporth - Newquay - St Columb Major - Wadebridge - Camelford - Davidstow - Launceston - Okehampton - Whiddon Down - Cherition Bishop - Tedburn St Mary - Cowick - Exeter. 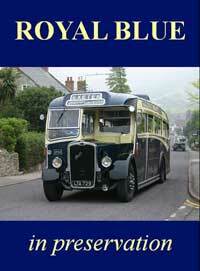 The Royal Blue - in preservation publication contains details of the anniversary and listing of preserved Royal Blue vehicles.